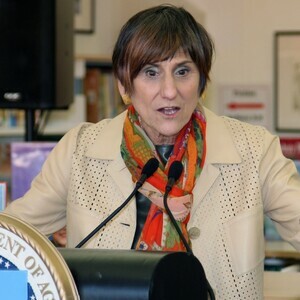 How much is Rosa DeLauro Worth? in New Haven, Connecticut, she has held the post since 1991. Once she earned a BA degree from Marymount College in Tarrytown, New York, and then separate MA degrees from the London School of Economics and Columbia University, she started to work as an administrative assistant and chief of staff for Senator Chris Dodd executive director of EMILY's List. It was in 1990 that DeLauro entered the House as she run for the vacant seat of Connecticut's governor. That same year, she secured a tight win over her opponent Republican State Senator Thomas Scott, and she has since been reelected ten times, never dropping below 63% of the vote. This keen member of the Democratic Party, has successfully been representing the Connecticut's 3rd congressional district, based in New Haven. In addition to the above, Rosa L. DeLauro is married to political strategist Stan Greenberg.